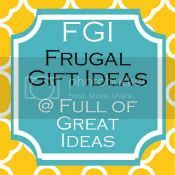 I want to thank Anne from Unguarded Moments for making the suggestion to make a quick inventory of what is in my freezer. When I started to make the list of everything I had in the freezer, I came up with the idea for my dry erase "Freezer Inventory" board. Thanks Anne! I made a list of the items I typically have in the freezer and left spots for other foods. The list is behind plastic so I can write on it with dry erase marker and easily delete the check mark when the item is removed. I had a canvas that I was using to test out the subway art from a couple of weeks ago. It was in the garbage but I pulled it out and put a coat of cream spray paint on it. I attached the paper to the canvas with Mod Podge by only putting Mod Podge on the outer edges. My first attempt bubbled when I painted the entire canvas with it. I made a 'staple food' list that contained what is typically in the freezer. I made it smaller than 8.5 x 11 so that I saw more of the scrapbook paper. In order to make the list reusable, I decided to use a plastic sleeve to cover the printer paper. This way I can put check marks for what I have and easily delete it when I remove it from the freezer. I cut the sleeve to be a little bit bigger than the piece of paper with my list. I warmed up my glue gun and when it was really hot, I ran a bead of glue to seal the two pieces of plastic on the cut side of the sleeve. Start at the bottom of the plastic sleeve and worked up to the top. The hot glue actually melts the plastic and fuses the two pieces together. Using hot glue, I glued the outer perimeter of the plastic sleeve to the canvas and then covered it with a thin ribbon attached again with hot glue. If you decide to put a ribbon on the top where the opening is, be sure to put a piece of paper between so that the 2 pieces of plastic don't melt together. I made a ribbon bow and glued it to the top of the canvas. Using a free magnet (you know the ones that you get in the mailbox from dentists, car dealerships etc...I never throw these out) cut into 3 strips, I glued them to the bottom and sides of the canvas. I then covered one strong magnet with ribbon and attached it to the bow. This way when the freezer door opens and closes, the canvas will not move or bounce around. Tah Dah! What do you think? I have had a very productive day. I made an inventory of everything in my freezer, created a beautiful board to easily track what goes in and out of the freezer and the most amazing thing I did was defrosted my freezer! I am too embarrassed to show you the before with all the food in it, but I will show you the after :) . Yeah! Look what I can get accomplished when I can't go shopping. Great idea! I need an inventory list for my freezer. Just today I was making my grocery list and had to dig through the deep freezer to see what I had. WOW! I love your freezer inventory board and am delighted that you found my suggestion helpful. Don't you just love a defrosted freezer? Doesn't it feel good to have achieved so much? Ooooooo, this idea is amazing too. Wow, I'm so loving keeping up with all your ideas. Thanks for sharing. that is a great idea! so creative! great idea! There are times when I don't know I already have an item and then buy one more of the same type. I am having a giveaway on my blog. $38 + free ship from busy little hands to buy a cute kid backpack from her store. She has tote's for mom too.Do check it out. Fantastic Idea!!!! I for sure need to do this! I have NO IDEA what is in my freezer right now! I bookmarked this idea as I so need to do this!! I have a deep (chest) freeze and would love to get some ideas as to how to stack the food in there too! This is fantastic! I love how you used a sleeve so you can swap out the printed part...genius! Thanks so much for sharing! What a great idea ~ I seriously need to get organized! Looks great! Love how you decorated around the sheet protector. Thanks for linking up to Scrappy Saturdays. Love being organised, and a great idea you've shared here. One of my biggest irritations is not knowing what is in the freezer and how long it has been there without having to rummage through. Even worse when you rummage through sure that it is there only to discover what you are looking for is not, especially with the big chest freezer. Irritating yes but also time consuming and wasteful not just time wise but food wise as things go past the date they are supposed to and get tossed. I also know that my dad has the same problem because when he was hospitalized just over two years ago with heart failure and pneumonia we had to clean out his fridge and freezers. It was scary to say the least. We have had to do this for him more than once since he has been home again and I think this will help him just as it will me. So I will start with me and do one up and then he is next. Thank you so much from both of us because I know that once he has his organized lists, he will want to say thanks also. Saw your idea on another blog, that I saw on Pinterest! 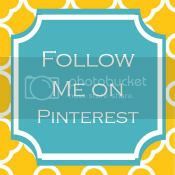 Just pinned it to my board! What a wonderful idea!!! I will be doing this very soon for BOTH of my freezers! Well...actually...it would be three! Fridge, chest, and upright! LOL! Thanks again for the great idea!!! Wonderful idea. Instead of using the pocket protector, I laminated the page so it is much sturdier and adheared nicely. The company offers exceptional and extremely courteous assist. do, question for a mechanic for assist? The total look of your web site is great, as smartly as the content material! own blog soon but I'm having a difficult time deciding between BlogEngine/Wordpress/B2evolution and Drupal. The reason I ask is because your design and style seems different then most blogs and I'm looking for something completely unique. sure I'll be told many new stuff proper here! Best of luck for the following! He currently attempted all of them and these are his best four. V2 Cigs Replace Your Damaging Cigarettes with Harmless V2 Cigs to see and really feel the advantages. but the large distinction is that fact it doesn't contain any toxins. Awesome issues here. I'm very happy to look your post. Thank you so much and I'm having a look ahead to contact you.